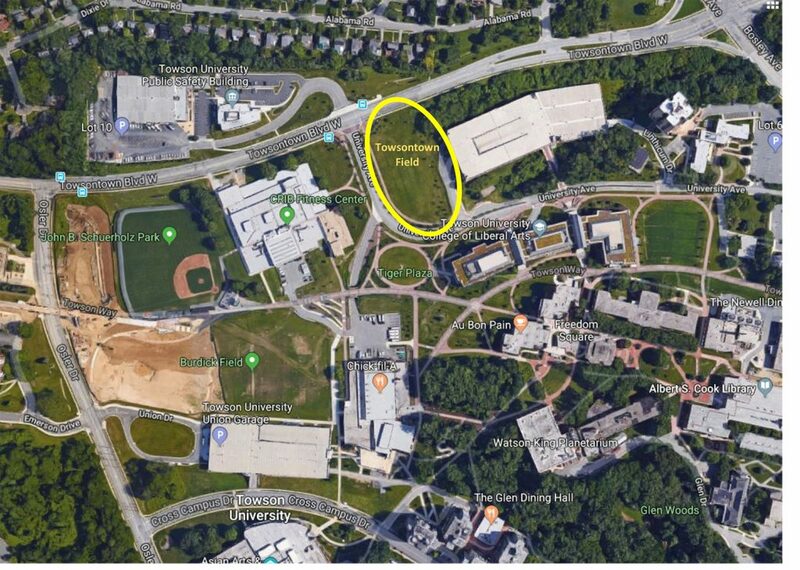 A couple hundred students, professors, administrators and community members gathered in Towson University’s Freedom Square Thursday night in response to an attack on two Jewish brothers of the AEPi fraternity back in April. Following months of planning, involving the national AEPi leadership and representatives from the Simon Wiesenthal Center, the 18 brothers of the Towson chapter of AEPi wore their fraternity letters to the rally, which condemned anti- Semitism and bigotry of all types. “If anyone on this campus does not feel supported, it’s time we make a change,” said Kim Schatzel, president of the university, to snaps and applause. Solomon Solkowitz, a senior from Raleigh, North Carolina, said that following the attack in the spring, the Simon Wiesenthal Center and the AEPi leadership reached out to his chapter to provide material and strategic support for the rally, including a mural from Artists 4 Israel. The campus Hillel provided support as well. Andy Borans, CEO of the AEPi Foundation and, until recently, AEPi’s executive director, attended the rally, and an AEPi videographer was on hand to interview the chapter president, Joshua Leckner. That was the theme of the rally, as each speaker, in their brief remarks, spoke to the importance of action. Shilo shared a story of his great-grandfather’s survival in the Warsaw Ghetto and Auschwitz, noting that even after his experiences, he tried to spread love wherever he went. “Why can’t we?” he asked the crowd. Alison Pure-Slovin, Midwest regional director of the Simon Wiesenthal Center, connected the work of her organization to that being undertaken by AEPi. “We will not be silent in combating all forms of bigotry,” she said. Rev. Mitchell Johnson, a pastor and an advisory council member to the Wiesenthal Center, spoke last, and received the loudest applause of the evening. Drawing similarities between AEPi and his fraternity, the historically African-American Phi Beta Sigma, Johnson implored the crowd to see their various identities as advantages, rather than hindrances. The organizers were pleased with the rally and the turnout. “I thought today was tremendous. 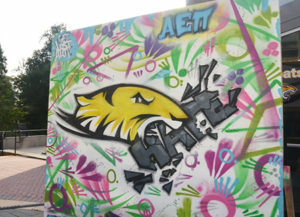 … I hope everyone cried like a baby like I did,” said Lisa Bodziner, executive director of Towson Hillel, which partnered with AEPi on the event. Jodi Teitelman, a junior who says she picked Towson specifically for its Jewish life on campus, echoed Leckner and the rest of the speakers on the subject of anti-Semitism. “We’re not going to back down from it,” she said.